Mexico is now part of the widespread Daylight Saving Time (DST) protocol, but the dates of the time changes do not always synchronise with the dates that are used in USA, Canada and Europe. At present, the clocks are due to be turned back an hour at 2am on Sunday, 27 October 2013. The electrical system in Mexico is the same as the USA, which is 120 volts and 60 Hz. If you use any electrical equipment that operates at the higher 240 volt rate, it will need to feature the dual voltage setting. Nationals of most countries will therefore need to purchase a socket adaptor. 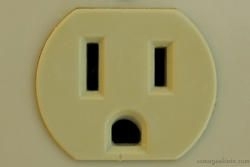 The plugs also match those used in the US, with two flat prongs. The etiquette in Mexico City is a delicate process. As many employees earn a very small salary, they still rely on tips to get by. We all know the awkward feeling when you are unsure whether you have tipped too much, or even too little. To avoid any embarrassment here is a brief guide on what we recommend you tip. One to five pesos for supermarket baggage handlers. When visiting Mexico City be vigilant when it comes to drinking tap water. 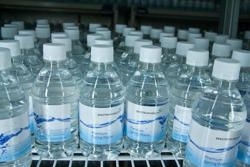 Take extra care and only drink bottled water that has been sealed. Ice is another potential hazard as it is often made by simply freezing tap water, which can then lead to an upset stomach. All high end hotels and restaurants will use purified water but smaller places wil unfortunately wash salads or rinse food with tap water. 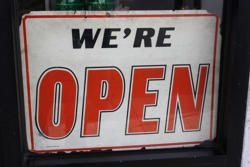 The majority of banks are open on weekdays between 9am - 4pm, and also Saturday mornings. Shopping hours are typically 10am - 10pm. Most larger shops and malls are open seven days a week, but it is commonplace that smaller establishments will close on Sundays or open or close an hour later. Office hours mirror that of the UK, with hours from 8am - 6pm, including an hour break for lunch. 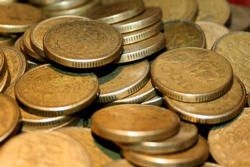 Mexico's currency is the peso, which is divided into 100 centavos. Prices in pesos are denoted as follows: M$, MX$ or MN. This is to avoid confusion with US Dollars, which are also frequently used. It is important to make sure you carry both types of currency, because you will quickly find that although prices are in dollars and you are expected to pay in dollars, many shops or taxi drivers will have little change in large denominations of dollars. 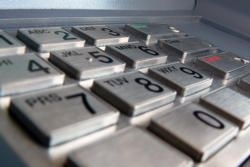 You can easily use credit and debit cards throughout the city and you would be hard pressed not to spot an ATM along any street in Mexico City, due to their sheer numbers. Visa, MasterCard, American Express and other major companies are all accepted. When exchanging money, keep an eye out for the 'tourist rate' of exchange which is often inferior to the rate banks will charge you for ATM withdrawals. You are strongly advised to request the rate you will be charged before you complete your transaction. 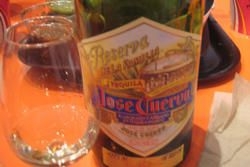 The legal minimum drinking age in Mexico is 18. Although many areas throughout the city are not particularly strict when asking for identification, always carry a form of identification to avoid disappointment. Due to the unusually high altitude, you may feel the effects of alcohol at a much quicker rate, so don't rush into things or you will end up feeling a little worse for wear! Shops, restaurants and bars that have the correct license are allowed to sell alcohol 24 hours a day. Locals will sometimes enjoy a beer on the street corner, yet this is techincally illegal in Mexico. Mexican police are in the process of a campaign to clamp down on drink-drivers, so if you have had a drink make sure you get a cab or public transport home. 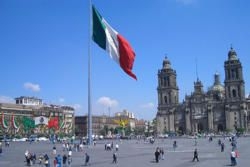 As of April 3, 2008 Mexico City officials declared a 100% smoke free ordinance across the whole city. All enclosed public places and workplaces are included, and the previously favoured smoking rooms have been banned too. 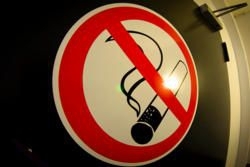 Hotels are obliged to designate at least three quarters of their rooms as non-smoking rooms. Possession of cannabis has been decriminalised in Mexico, but growing and selling remains illegal. As in all countries, buying drugs is not advised and plain clothed police officers operate in large numbers. 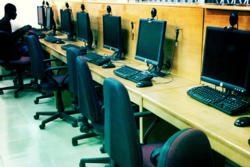 Mexico has received an unprecedented surge in demand for the internet in recent years, especially broadband connections. As a result the country and Mexico City boasts a well developed network. Several brands of internet cafes are dotted around the city with reasonable half hour and hourly charges. Restaurants, bars and shops also feature Wi-Fi hot spots. If you bring your mobile phone from home with you, make sure that you check your price plan as charges in a foreign country are often extortionate. You will not find traditional launderettes that you may be used to in more developed countries. 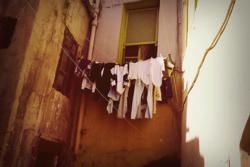 There are locations for laundry all over the city, but instead of a shop where you pay and wait, you leave it with a shopkeeper and they will complete the job for you. Services include wash, dry and fold. You are then charged depending on the weight of your clothes. It is essential you arrange a pick up time, usually within 24 hours. Mexico City is often portrayed as a dangerous place that is rife with crime, but if you are sensible and cautious you will be pleasantly surprised how safe and friendly it can feel. There is no denying that muggings, kidnappings and car thefts occur, but simple steps ensure you and your possessions will remain secure. Keep your wits about you when in tourist areas and do not leave valuables in exposed pockets or bags. A basic moneybelt will help guard against this problem. Follow your instincts, stay clear of neighbourhoods that feel unsafe, and get a cab wherever possible if you feel unsure. But the golden rule is, if you are approached, do not resist your attacker. Another main danger in the city is traffic. With a large number of road users on various modes of transport, accidents are inevitable. Pavements and walkways are often clogged up by parked vehicles or street vendors, forcing you to walk in the road, so be extremely careful. A useful piece of advice is never assume your path is safe; a red light does not necessarily mean road users will stop for the red light. Now all that is left for you to do is book your ticket, pack your bag, hop on a plane and have a magnificent time in Mexico City! But don't forget to check out the visa requirements and important places and telephone numbers first.